Organically Inspired Jewelry, Full of Passion for Life. From Sketch to Silver, Stunning Silhouettes & Cutouts. Have you ever considered what ballet and jewelry making have in common? I hadn't really either until I met jewelry artist Katy Farnum who's passion for art started with dance, but has now evolved into stunning metalsmithing. The first similarity is that both are driven by an inner desire to express beauty. One does this through motion, rhythm, harmony and form, and the other? Also through motion, rhythm, harmony and form, especially when you have a striking organic inspired style like Katy. Her pieces start with the dance of a pencil across paper, mapping out unique abstract shapes. 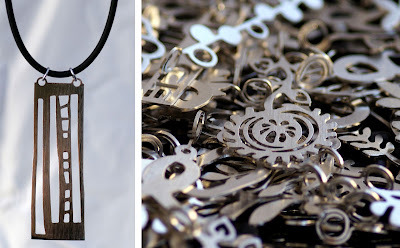 She then uploads them to her computer to refine her designs before introducing metal into the equation. 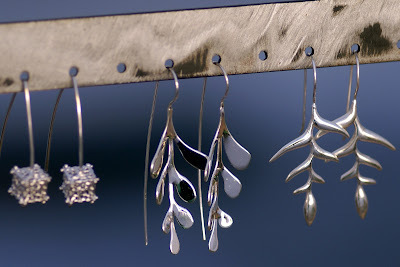 Whether the end product is earrings, a bracelet or a pendant, she takes care in creating visual harmony between the elements. There is a beautiful simplicity about Katy's work in the way she focuses on a single material per piece, usually silver, and two dimensional designs that actually have surprising depth. 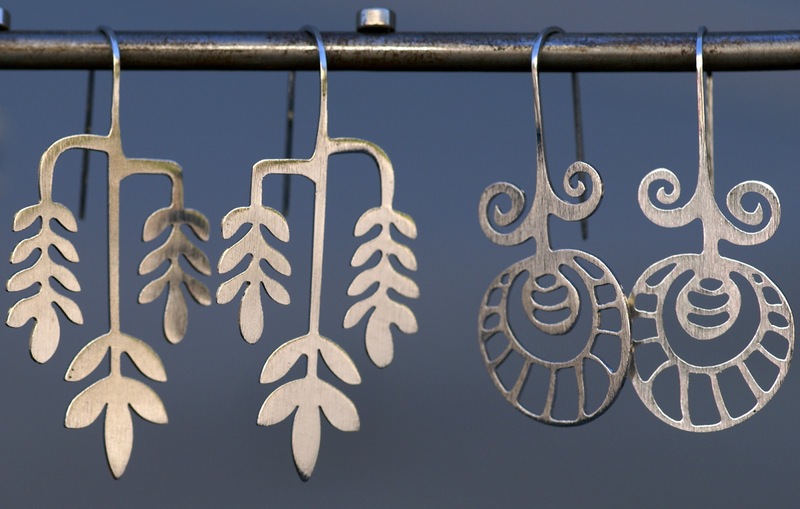 Its not hard to see what inspired Katy for each piece, but her shapes are also open to interpretation so you can find meaning in the organic curves and geometric lines. Flowers, ferns, vines, and more. 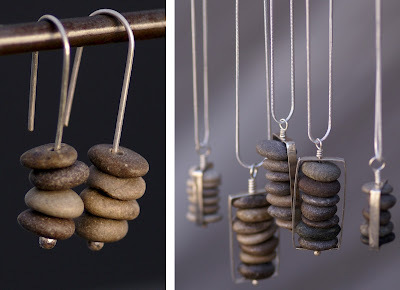 She also has a line of earrings and necklaces modeled after hiker carins, the stacked rocks used to mark ones trail. 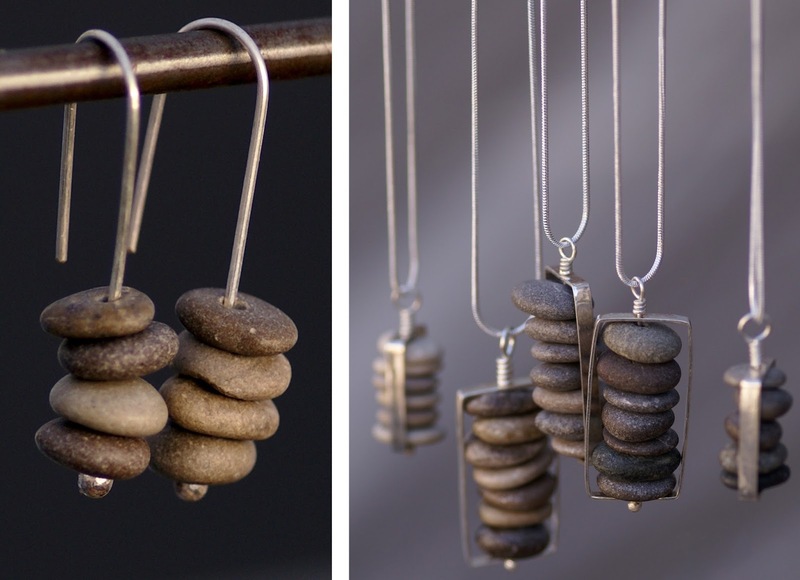 The smooth shapes of the stones she chooses play into the natural harmony of her work. While I'm sure Katy is a wonderful dancer, I am so glad she has found an interest in jewelry making because her pieces are stunning and one-of-a-kind.